Though Apple’s products have gained a bit of color in the form of gold and rose gold options recently, the company isn’t known for providing particularly vibrant hues on its high-end devices. 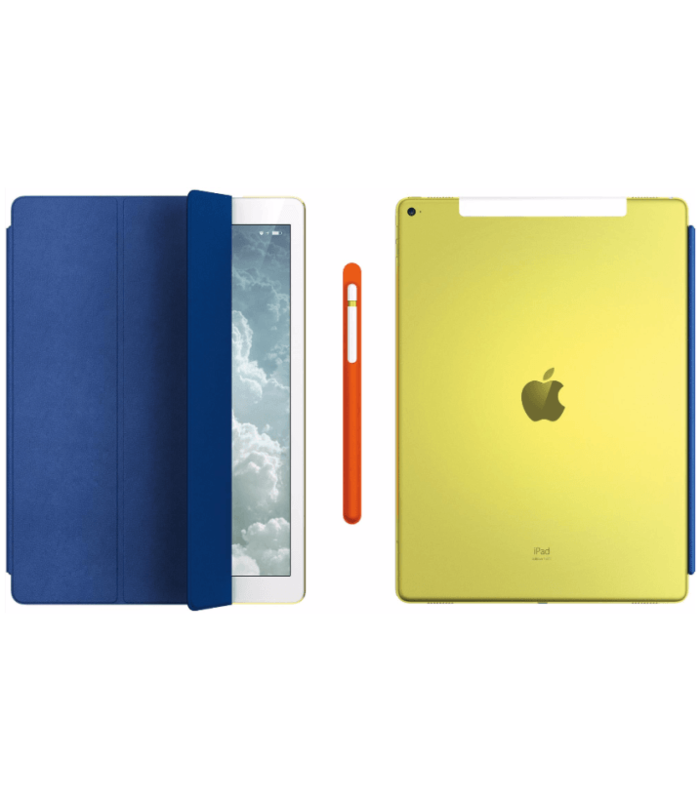 Fortunately, the company has just designed a bright yellow (no, not gold) 12.9-inch iPad Pro. Unfortunately, you might have to pony up around $18,000 to buy it. Apple designed the one-off iPad Pro for a charity auction at London’s Design Museum. The Phillips auction house estimates the iPad will sell for anywhere from £10,000 to £15,000, or approximately $14,200 to $21,300. For that price, at least you’re getting a nifty Apple Pencil with a leather holster and a blue leather Smart Cover; though for that price, I’d demand a Smart Keyboard instead. This is just the most recent of Apple’s one-off limited edition products (we made a handy list here). The most expensive of these? A $977,000 Product (Red) Mac Pro. Also notable: $461,000 rose gold earbuds. If you have that kind of cash, the colorful iPad Pro can be yours on April 28.